This apartment is huge! The enormous living room comes with two leather couches, coffee table, bar stools and full size beds in each of the bedrooms. 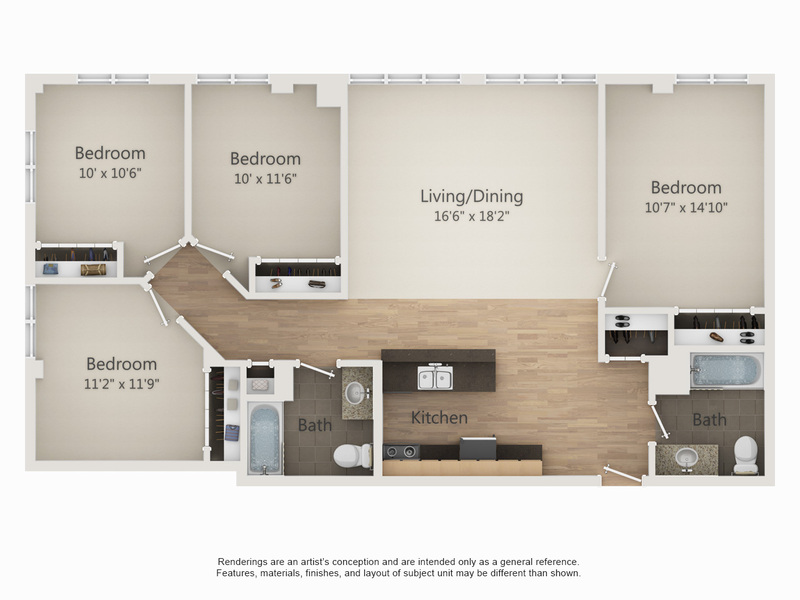 With two large bathrooms and extra closets for storage, this apartment comfortably fits 6 people. This style gets the best views and sunshine all day! Rent increases by $150 per additional person per month after 4 people.